Ten storage compartments and a roller support tray for storing, processing and fast feeding of edge materials to the machine. For different edge thicknesses and heights. 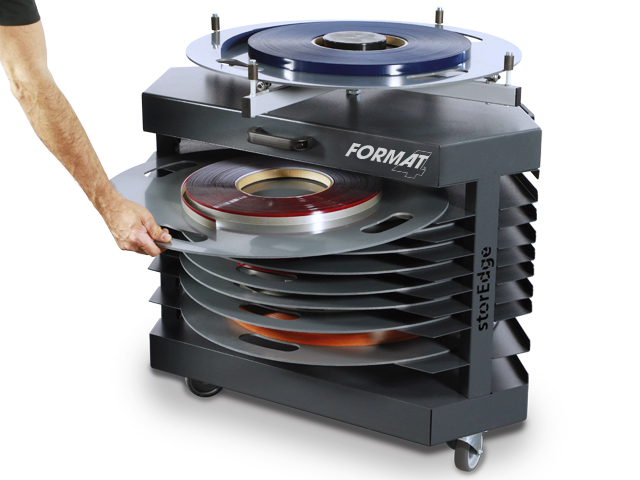 The practical edge storage system 'storEdge' can be additionally equipped with a support plate. Your most important edge material, always at hand and stored with ease. 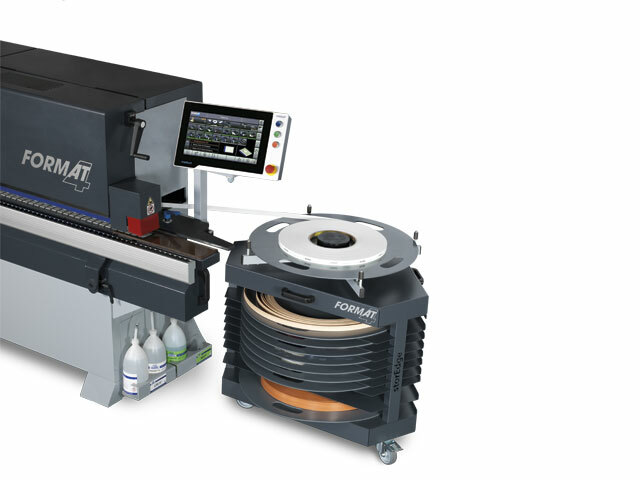 - With the optional support plate your edgebander can always be loaded with edge band material. 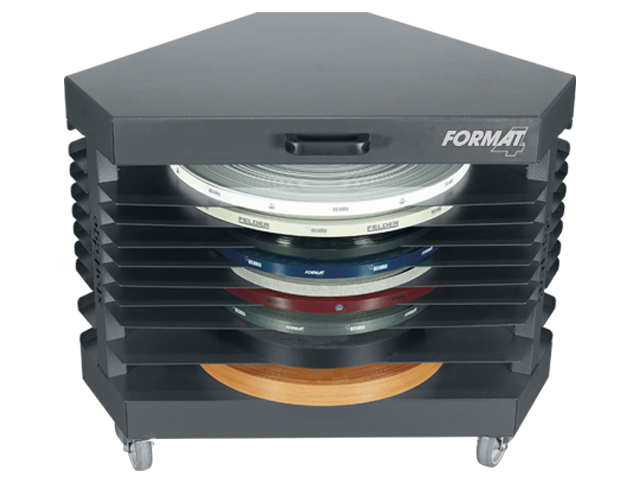 The Format-4 storEdge offers space saving storage of your edge material, replaces the edgebander support plate and can be placed next to the machine as and when required.